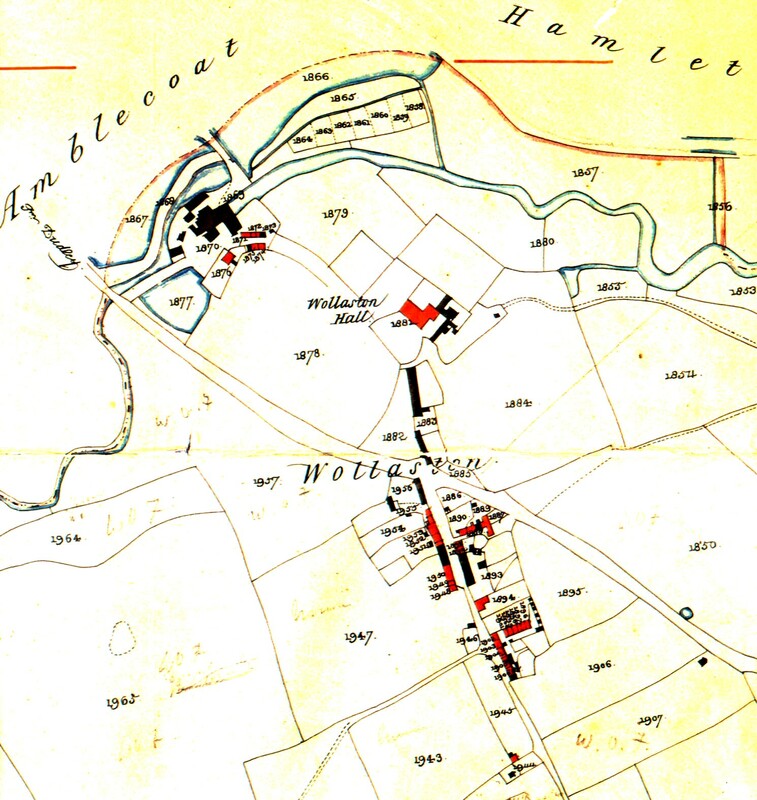 L O Davies’ survey of Wollaston in 1827 produced the most detailed map of the hamlet to date. He identified inhabited properties by colouring them red, and gave each property or parcel of land a number. Starting at the top there is Wollaston Mills, at that date being worked by Samuel Hodgson & Co. Five of the cottages around the Mills were inhabited. Below is Wollaston Hall, where the Addenbrooke family were in residence, whilst in the hamlet itself there were 26 inhabited houses. Don’t understand the map. Need to know road names - which is the main Stewponey to Stourbridge road ? My e-mail doesn,t work but I was there in 2005 and 3 generations of my family lived there 1800 to not sure when or where they went to met with Joan and left my address but never heard anything .William Abbot was the 1st one to live there and had a lot of children my3rd great grandfather and he was married to a Sarah Herbert. I also know Sarah was a nurse in Wollaston. My 2nd great grandfather John Abbott was born Wollaston 1828 and married to a Clara Pratt. My Address is 16 Kilbourne Crescent St. Catharines Ontario L2M 3E4 Would like to know more Did they die there in Wollaston or where did they go?Any information on this family I would appreciate.